Let's continue the inspiration...the Handmade Holiday tour with some of your favorite Project Run & Play designers and patterns! 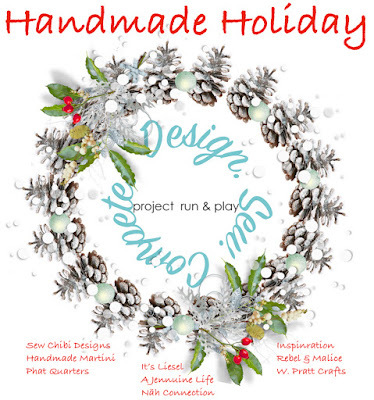 They're showing you how to use the patterns from the Project Run & Play Shop to make the holidays special...the handmade way! Today Michelle from Handmade Martini is with us. She sewed the crowd favorite Aster Cardigan pattern in glorious holiday fashion! This one is darling, comfortable, and with that dress is so stunning!! Read all about how her Aster Cardigan and you simply MUST see the whole dress too over at Handmade Martini. Grab your copy of the Aster Cardigan here in the shop. See you tomorrow for more delightful Handmade Holiday Inspiration.